A new type of clothing, Wings, has been released! The Obese Fairy has new prizes, one of them being Obese Fairy Wings. You can also get Obese Fairy Earrings and Obese Fairy Beads. The Potions Shop has a new Shopkeeper! The Royal Fairy has new prizes - Royal Fairy Wings and Royal Fairy Earrings. We have changed all of the Wigs on the site that had no hair! They have become either Hats or Masks. You can now wear a Hat, Mask and a Wig at the same time - and change all of their colours at the Lush Fountain. The Mordo can now wear the Cartoon Costume. The Chinese Poera has also been revamped. You may win this new Talon Collar when you complete a Talon quest. The Digital Fairy also has new prizes - Digital Fairy Wings and Digital Fairy Headphones! A new Weekly Battle Contest has just started. This week's opponent is Lotus, you will need to have a Lotus Trading Card in your Battle Deck. The challenge is to win as many battles against this opponent this week. The top 3 players at the end of the challenge will receive a Caveman Trading Card, 200,000MP and a Gold Trophy, the next 6 players will receive 150,000MP and a Silver Trophy and the next 9 players will receive 100,000MP and a Bronze Trophy. The Huthiq, Kaala and Poera can now wear the Cartoon Costume. The Scorpio Treasure Chest automatically retires at midnight. Wardrobes have been updated. Your wardrobe will now show all of the clothing and accessories your character is currently wearing, with an easy 'Remove' link to take off certain items. You can also see what other players are wearing when you view their Wardrobe. The Lush Fountain also now lists all of the items your character is currently wearing, with the option to change the colour of each item to any colour you have unlocked so far. The Nimbus world map has been updated with our new location highlights when you hover over an area. The Price Check feature has been improved. The 'Market Price' was only relevant to items that are sold in the main shops. It has been replaced with either 'Does not restock in a main shop' or a quick link to the main shop where it is sold, the price and the current stock level of that shop. The Shop Search also shows if an item is avaliable in a main shop and its price. You can also now click on the item's image inside of the Price Check and it will add the item to your Wishlist. You can now change the colour of your Tattoo, Jewellery or Hand Accessories at the Lush Fountain. The Jewellery Shop in Dukka Town has been revamped. There is a new Pirate Basil shopkeeper and the shop is now a shop that restocks like other shops, with new items every 5 minutes, but you still have to pay in Dukka Coins. You can now add ALL jewellery items around the site to your wardrobe. This includes all necklaces, rings and bracelets from Goals and the Advent Calendar! The Site Layout has been updated. We have replaced the 'Homes' link at the top of the site with 'Wardrobes'. You can still get to your Homes from Puchalla Village or the 'Stats' page of your Profile. Every Shop that restocks has been updated. We have improved the layout of each shop and made it all easier to navigate. You can buy items quicker and you can haggle for a lower price with any MP Shop. The BP and RP shops, which never allowed haggling anyway, only require you to enter a security code. If an item is out of stock, the shopkeeper will tell you instead of the annoying Error Knutt. More importantly, if you type in the wrong Security Code, it will load a new code for you to type in rather than having to go back and refresh. The Lottery has been drawn for this week. confused12 is the winner of the 56,900MP Jackpot with the winning numbers of 22, 1, 15, 3, 24 and 11! Congratulations! Last Week's Raffle has now ended. poindextor is the winner of the Red DNA and 100,000MP prize with the winning raffle ticket number 1953! Congratulations! Make sure you buy your tickets for today's raffle - only 10MP per ticket! The Game of the Week has now changed to Memory Pets. Your Wishlist in Dukka Town is your own personal list of items that you want or need to collect. You can browse through all of the site's items and add them to your wishlist. It can now hold up to 600 items and you can also rate each item between 1 and 10 - with 10 being the most wanted and showing at the top of your list. You can remove items from your wishlist at any time and other players can see your wishlist on your profile - a great way for your friends to see what items you are missing from your collection or really want as a gift for a special occasion! The layout of wishlists has been improved and we have added the 'Check Price' feature throughout. The Item Wanted feature in Vortex Park has completely changed. Looking to buy an item that isn't on the Shop Search? Let potential sellers know! Browse through the wishlist items and hit the 'Wanted' button for any item you want to buy. You name your price and the MP will be charged from your account and put on hold. Any player with the item and looking for a buyer can then view your Wanted ad and if they like the price, complete the sale, instantly and automatically, even if the player is offline or inactive! All sales are final and the minimum sell price is 250,000MP. If the sale has not been completed, you can cancel the Wanted ad at anytime and your MP will be refunded. 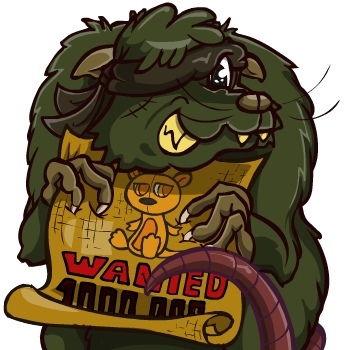 You can browse through all Wanted Ads, just like the Trades, and see how much MP people are willing to pay for items you may have. The 'Check Price' feature all over the site will now show how many Wanted Ads there are for each item, with a quick link to them. Have a rare item in your Attic? Hit the 'Check Price' link and see if there are any buyers out there. If you like their price, move that item to your Inventory and complete the sale instantly. The Lorius, Mordo, Tasi and Zetlian can now wear the Chibi Costume. The Knutt revamp has been completed. We hope you like the Chinese, Furry, Ghost, Gingerbread, Ice, Mummy, Mutant and Recycled Knutt changes! Talon was once the beloved pet of the Sultan of Kamilah, who kept his magical feathers to himself. As Talon grew older, his powers made him stronger. He escaped from the palace and now lives alone in the desert, fighting for his survival. Talon is a new Default Battle Opponent in the Battle Arena. Everyone can battle him without a Trading Card. He starts with 1HP and his HP increases 4 times slower than a normal opponent. Are you brave enough to fight him in the Battle Arena? If you are, accept his quest below and make your way to the arena for a fight! If you win, he will reward you with MP. If you are really lucky, you will pick up any of his magical Feathers that fall to the ground after he is defeated. There are 20 new Feathers and 11 new Feather Plushies. Feathers are a new magical item. Use them on your pet and they will heal them back to full health, with a small chance of the pet changing to the same colour as the feather! Talon has been added to the High Scores page. Can you find the 'Talon' Hidden Avatar? Talon has been added to the Kamilah Desert map. We have also updated Kamilah Desert with our new location highlights when you hover over an area. A new Weekly Quest Contest has just started. This week's quest game is Aquarium. The challenge is to complete as many of these Quests this week. The top 3 players at the end of the challenge will receive a Summer Costume, 200,000MP and a Gold Trophy, the next 6 players will receive 150,000MP and a Silver Trophy and the next 9 players will receive 100,000MP and a Bronze Trophy. The Figaro, Rusty, Sindi and Troit can now wear the Chibi Costume. The Chinese Basil, Ercuw, Kujo and Gonk have been revamped. We hope you like the changes! A new Weekly Item Contest has just started. This week's item is Milk Chocolate Chibs, you will need to send this item to the 'Challenge' account. The challenge is to send as many of this item to 'Challenge' this week. The top 3 players at the end of the challenge will receive a Mermaid Easter Egg, 200,000MP and a Gold Trophy, the next 6 players will receive 150,000MP and a Silver Trophy and the next 9 players will receive 100,000MP and a Bronze Trophy. Just a reminder that the Scorpio Treasure Chest automatically retires June 16th. Can you find the 'Redeemed' Hidden Avatar? Our new Profiles have now been released. The backgrounds of your character now show on profiles and you can customise the colour scheme of everything on profiles - you can even now change the background colour! You can also put BBBCodes inside of your profile status and your profile header, which has also been increased in size. Your profile information page has a lot more space and BBCodes too. The 'Friends' tab of your profiles now has a count of how many friends you have and you can browse through every player's friends list and see who is online. The Blogs have also been integrated better into Profiles. Your profile shows a count of all of your blog posts and you can browse through all of your blog posts from your profile. You can once again post BBCodes in blogs and for the first time you can post them in the comments of blogs. You can also customise the colour of your Blog on the edit profile page. A new Weekly Battle Contest has just started. This week's opponent is Bad Chocolate, you will need to have a Bad Chocolate Trading Card in your Battle Deck. The challenge is to win as many battles against this opponent this week. The top 3 players at the end of the challenge will receive a Naunet Trading Card, 200,000MP and a Gold Trophy, the next 6 players will receive 150,000MP and a Silver Trophy and the next 9 players will receive 100,000MP and a Bronze Trophy. There are 6 new Pet Colours - British Murfin, Chinese Yakubi, Tiger Murfin, Sponge Murfin, Chibi Sybri and Eleka Murfin. These new items have been added to the Capsule Machine in Nimbus. The Easter Egg Shaped Pearl, 1000 Easter Egg Recipes, Easter Hunting Tunes, Midnight Soup, Star Dress, Star Robe, Bunny Headband Wig and Deviled Easter Egg have all been retired from the Capsule Machine. A new 'Peaceful Reef' experience has just been released. Can you find it? One of the first ever Account Upgrades we ever had (back in 2004/5) had limited edition a Gold Pet Necklace as a main prize. They have never had any purpose at all but you can now finally add them to your wardrobe. These are the first of the Jewellery items that can be added to your wardrobe and your character can wear them now. For a limited time only, these have been re-released in the Capsule Machine. The Yakubi pet has been revamped. We hope you like the changes! The Lottery has been drawn for this week. haft2beu is the winner of the 65,100MP Jackpot with the winning numbers of 1, 2, 3, 4, 5 and 15! Congratulations! Last Week's Raffle has now ended. 19cooldan91 is the winner of the Red DNA and 100,000MP prize with the winning raffle ticket number 4453! Congratulations! Make sure you buy your tickets for today's raffle - only 10MP per ticket! For a limited time only, the Chibi Account Upgrade is now released. The main prize is a Limited Edition Pet Chibs! You will receive a chibi themed cd, book, dvd, gumball, costume, stamp, minipet and either a Chibi coloured Chibs or Jessup Enchanted Plushie. Can you find the new 'Chibi' Hidden Avatar? The Chibs, Jessup, Murfin, Newth, Phanty and Zola can now wear the Chibi Costume. Today's random theme is... NATIVE! The Native Costume has been revamped. We hope you like the changes! The Ball of Native Yarn has been released and is now a prize for the Farming quests in Gigantic Paradise. A new 'Tribal Island' experience has just been released. Can you find it? You can now browse through all Trades in order of when they were created. The Missions page has been updated. It now has all missions, temples and pyramids organised in one place. It shows you the progress you have made with each mission and a countdown for when you can complete another level. The countdowns take into consideration all mission, temple or pyramid Giftboxes. When you visit a Mission now before your timer has reset, you will now be told how long you have to wait until you can complete another level. This new Native Hibiscus Wig is now on sale in the Millionaire's Lodge in Jenoa. Pet Trades have been updated. You can now cancel your pet trades or accept offers without first cancelling any other offers on your pet trade. Pet Trades are also automatically removed after 3 months and you can now browse through all Pet Trades in order of when they were created. 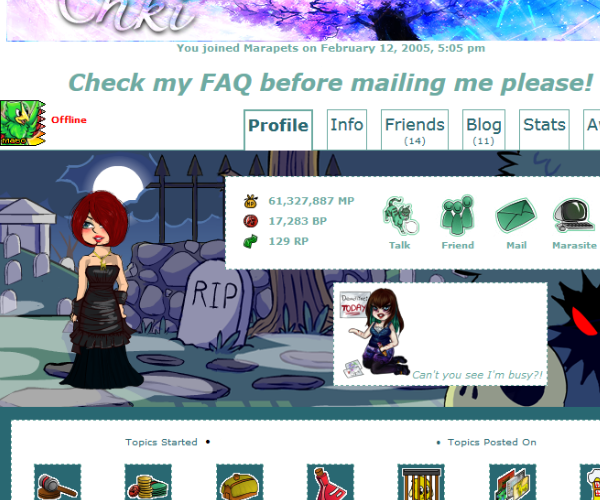 Maramail and Alerts now have a new layout, similar to the new forums layout. The 'Native' hidden avatar has also been revamped. There is a new Giveaways Forum inside the General Chat Forums. All giveaways should now be in this topic - including pets, items and currency. Click Here for this forum's rules. A new Weekly Quest Contest has just started. This week's quest game is Garage. The challenge is to complete as many of these Quests this week. The top 3 players at the end of the challenge will receive a Minipet Costume, 200,000MP and a Gold Trophy, the next 6 players will receive 150,000MP and a Silver Trophy and the next 9 players will receive 100,000MP and a Bronze Trophy. A new shop has just opened in Lowlyhood. The temporary Tattoo Shop is now restocking 9 new tattoos. These items work for both male and female characters and can be added to your wardrobes. They work like clothing - once in your wardrobe you can change your temporary tattoo as often as you like. There is a new button in wardrobes to wash them off at anytime too! You can only have one tattoo on your character at a time. The Tattoo Shop has been added to the Lowlyhood map. We have also updated Lowlyhood with our new location highlights when you hover over an area. A new Weekly Item Contest has just started. This week's item is White Leido Potion, you will need to send this item to the 'Challenge' account. The challenge is to send as many of this item to 'Challenge' this week. The top 3 players at the end of the challenge will receive a Mutant Food, 200,000MP and a Gold Trophy, the next 6 players will receive 150,000MP and a Silver Trophy and the next 9 players will receive 100,000MP and a Bronze Trophy. We have just released a new game, Mummy Multiplier in Simeria. Archaeologists from all over Marada excavate Simeria to see what ancient treasures they can find. There are 30 different tombs below that have recently been found inside an ancient temple. You can play Mummy Multiplier once every 6 hours for FREE. Open any tomb below to see what treasure is inside. 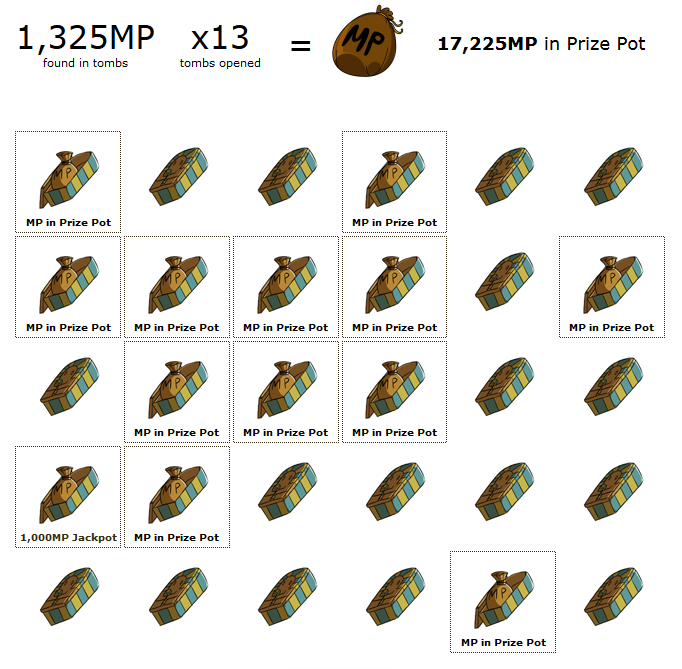 If you find MP, you will move to the next level, the MP will be added to the prize pot and the mutliplier will increase. The game is over when you find a mummy in a tomb and you will win any MP in your prize pot. If you are really lucky, you may also find a random Rune inside any tomb! The Mummy Multipler game has been added to the Simeria map. We have also updated Simeria with our new location highlights when you hover over an area. Can you find the 'Mummy Multipler' Hidden Avatar? A new default background has been released. You can all now use the 'Welcome to Marapets' experience. New players will automatically have this background on their character when they create an account to welcome them. A new Weekly Battle Contest has just started. This week's opponent is Cremated, you will need to have a Cremated Trading Card in your Battle Deck. The challenge is to win as many battles against this opponent this week. The top 3 players at the end of the challenge will receive a Double Peck Trading Card, 200,000MP and a Gold Trophy, the next 6 players will receive 150,000MP and a Silver Trophy and the next 9 players will receive 100,000MP and a Bronze Trophy. The Puchalla Village map has been revamped. We hope you like the changes! We have also updated the way that these new maps are labelled. The Marada and Puchalla Village maps now highlight each area and have both a label and a description when you hover your mouse over each location. This will soon be standard over each world map. The Forums layout has been updated and the size limit for signatures is now 720 width by 350 height. You can also once again use BBCodes on forums and blogs. Secret Blogs were released 9 years ago, long before we had our dress up characters. The last blog was released 2 years ago and before that it was about 5 or 6 years before another was released. They were difficult to draw and release, hardly used and not popular. We have removed them and the new 'Experiences' feature will take their place. Your character will now show up as the shopkeeper of your shop/gallery. You can still edit the colours and add a greeting for your character in your Shop and Gallery. 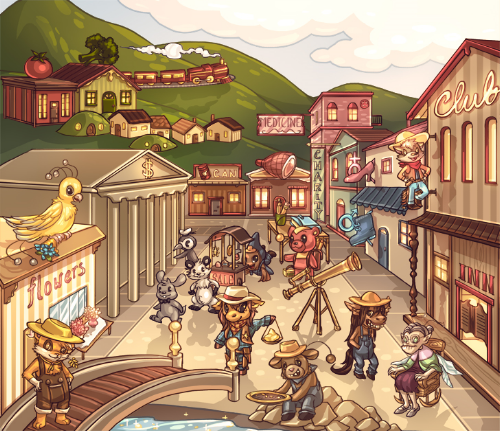 You will also be able to have a different background for your Shop, Gallery and the rest of the site. Please bare with us while we carry out many changes and improvements over the next couple of weeks. A new default background has been released. You can all now use the 'Sunset Beach' experience. There are 5 new Seeds restocking to grow these 5 new Organic Minipets. A new 'Moonlight Graveyard' experience has just been released. Can you find it?